It's not common knowledge outside the continent, but insect constructions are a quintessential feature of the African landscape. Whether on the savanna or within shady forest, loom the tall conical earthen mounds of insects. 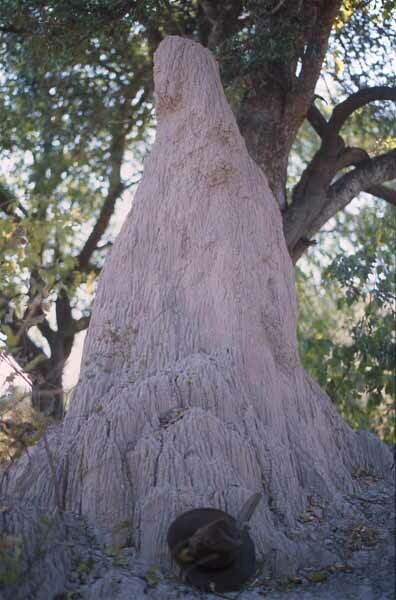 In most cases these structures are constructed by termites, whereas ants also build substantial nests. This one here was by a trail along the Zambesi River, Zimbabwe. (Note the hat for scale). Elephants had worn the sides smooth where they use the mound as a scratching post.